The Model 10, combines great sound, due to its wood cabinet, and a classy design that's bound to fit into just about any décor. 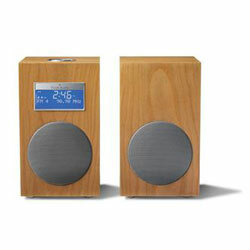 Plus is has a dual alarm clock with snooze and sleep timer, an equalizer for fine tuning the sound, Radio Data Service (RDS) for displaying song titles and five radio presets. Keep your loved one organized with a sleek new smartphone. 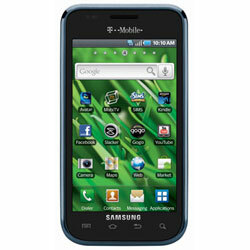 The overall combination of slim form factor, beautiful 4-inch screen and high-quality 5MP camera make a Samsung Galaxy S Class phone a winner for any T-Mobile (Samsung Vibrant, shown), Verizon (Fascinate) or AT&T (Captivate) customer. 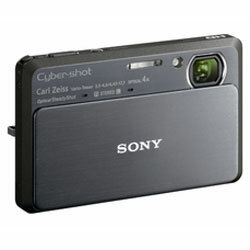 Put the ability to capture 3D pictures in his or her pocket with the Sony Cyber-shot DSC-TX9. And mini HDMI out jack makes viewing photos on a 3DTV easy. Also of note are a pair of intelligent auto modes, iAuto for fast action shots and the new Superior Auto mode, which takes successive shots to achieve the best detail in challenging lighting environments. A full-size mouse that folds flat for portability, the Arc Touch Mouse is the perfect travel companion for computing on the go. It measures less than 15 millimeters at its widest point, making it easy to slide into a briefcase, purse or pocket. 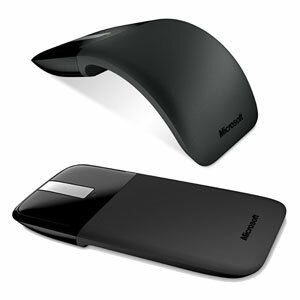 Read our review of the Microsoft Arc Touch Mouse. 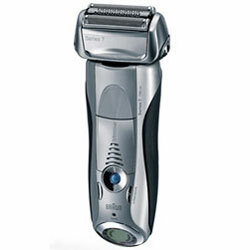 If the man in your life is looking to make the switch from razor blade to electric shaver, the top-of-the-line Braun Series 7 ($249-$289) provides a custom shave and actually feels good against the skin. “Pulsonic” technology oscillates the shaving head at over 10,000 micro-vibrations per minute, to help raise hairs off the skin and boost the efficiency of each stroke. The new “OptiFoil” design features differently sized holes in the shaving foil to capture hair better and cut it deeper at a variety of angles. For the geek who has everything, there are classically-styled cufflinks that can also discreetly store important documents. 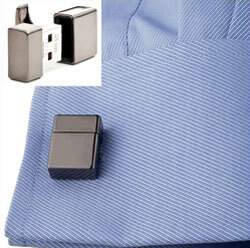 Each cufflink is a 2GB USB drive. Comes in gunmetal (shown), silver and gold. Add engraving–up to eight characters for $8. 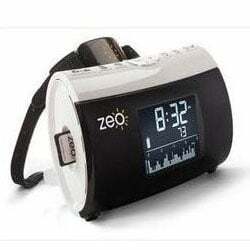 Give someone the gift of a good night sleep with the Zeo Personal Sleep Coach. The Zeo Headband will track their unique sleep patterns through the electrical signals naturally produced by the brain throughout the night. Upon waking they'll see a chart that shows their sleep pattern throughout the night and a sleep score. Uploading sleep information to the myZeo Personal Coaching website lets them spot trends in sleep, and the included sleep journal helps them track how alcohol, caffeine and exercise are impacting sleep. 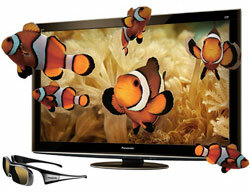 If you want the best 3D (or 2D) picture, look no further than the THX-certified VT25 series 3DTVs. The panel uses new super-fast phosphors to eliminate ghosting and has the blackest blacks on the market. You'll also get an assortment of Internet apps including Netflix, Skype (with a compatible Panasonic webcam) and Twitter. One pair of 3D glasses is included. This combination iPad case and Bluetooth keyboard is perfect for the traveler that is looking to keep in touch with the office. 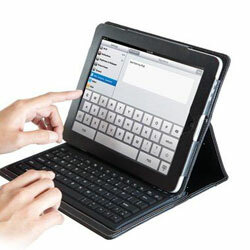 The case converts to a stand for easy viewing and the keyboard's rubberized keys are spill-proof. We've been using one for the last month and we love it. If your significant other is a frequent traveler, they'll flip for this ultralight, powerful laptop from apple. It's pricey, but creating envy among fellow travelers never comes cheap. 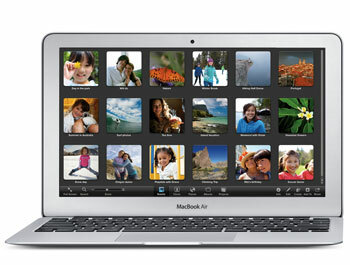 The MacBook Air starts at $999 with a 64 GB drive, but we recommend spending the extra $200 for the 128 GB version. Sharon, Sorry for the delay. Sorry for the delay. It’s the Oregon Scientific AW131 Grill Right Wireless Talking Oven/Barbeque Thermometer ($38). Where are the gadgets from the December 4, 2010 NBC Today show? There were several items that I liked (iphone horn speaker, remote control spider, etc). Can you tell me if the Plantronics bluetooth speaker deal is still available? I purchased one using your website discount code and now that I have it, it’s the best $20 I ever spent. I’d like to buy a few for gifts but can’t seem to find it again. Please let me know how I can get a few more of these. @ Connie Do you have the model number for the Plantronics Bluetooth speaker? Yes, it is K100 and it was $20.